Likewise, Happy Holidays to you. Looks like a bad exposure or flash cube(bulb)was a dud? I recall photos looking like this and remember that the flash bulb or flash cube failed so this was the result. Can anyone confirm my explanation? Thanks. I think a failed flash would result in an image similar to this but that is not the case. 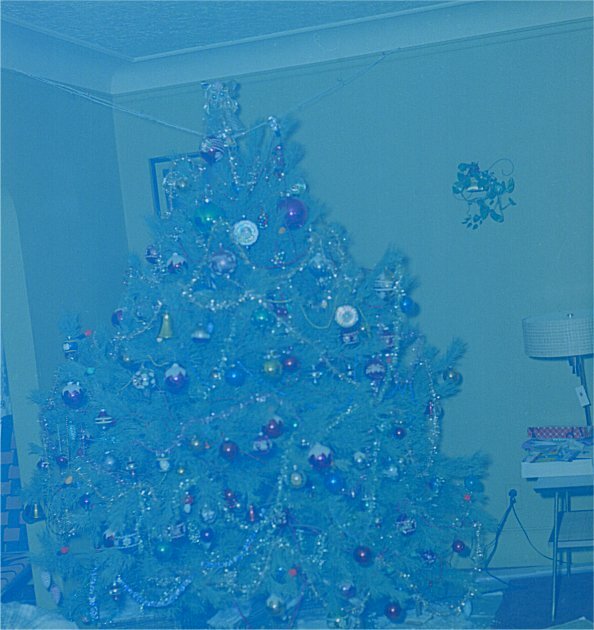 This particular image was made from a color negative that was orange. I'm sure I could set my scanner in a specific way to get a better image or use Photoshop however I chose not to do that.